My Best Buddy Devi has passed on two awards to me. Thanks Devi for sending these awards. 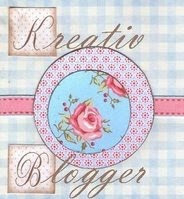 The first one, Kreativ blogger award comes up with a set of rules. As I have already shared 7 things about me, I'm just passing the award to 7 of my friends. I would love to pass on this "Yummylicious Blog Award" to few of my friends. congrats for you award dearie....and thanks for sharing it with me..that so nice of you..I'll soon post it in my blog buddy!thank you so much..
First of all Heartiest Congratulations for your awards! Congrats !! and thanks Nithu ! that's so sweet of you ! Thank you so much Nitu for sharing the yummlicious blog award with me.It means a lot to me. Congrats on ur awards and just keep rocking in the future. Congragulations dear..keep rocking!!!!! !wish you more awards to come in..thanks for thinking about me & sharing..
Congraz on ur award nithu,hope lots more come your way this year..keep going..
Congrats on ur awards, dear..and thx a ton for sharing it with me...u made my day, dear! Congrats Nithu, keep rocking..thanks so nice of u to share ur award with me, am honoured.. I have posted my version of Chilli paratha. Check my blog. Thanks for forcing me to make and to put it into my blog! Congrats on your awards Nithu !!! May you win many more awards in near future. Congratulations for the award, enjooooooy!!!!! Congrats on you award Nithu! And thanks for sharing it with me...am truly honored! Congratulations Nithu on well deserved awards!! May u get lots of these! Congrats on your awards dear. Thanks for sharing the award with me . You made my day. I will make a post of it soon. Congrats on your awards and thanks for sharing it with me!!! Thank you all for the lovely wishes..